The Team from PST Celebrate their YM Offshore exam! Coco, Phil, Christian and Paul all passed their Yachtmaster Offshore exams on 8 June 2018. Their examiner emphasised how impressed he had been with their team work and ethos of working for each other; the school prides its self in engendering team work which is to be expected and necessary during 17 weeks immersive training – but was particular tenet of this bunch of students, and we are going to miss them around the office and pontoons. That said on the day of the exam we were concerned by a small initiative vortex – a call came into the office asking what they should eat on Thursday and Friday as the Menu was labeled Saturday and Sunday…. Exam nerves get to even the best! Nominally the Spring PST. The 2018 course started during mild week in mid February, with skills and drills in the Solent – just to lull the students into a false sense of security. Their second week at sea coincided with ‘The Beast from the East’ and was followed by a series of unusually ‘cool’ periods of Easterly and North Easterly blows…. Spring never seemed to come, nevertheless the training programmes and distance sails were completed and then suddenly the team were set to depart on their distance sail, no one can be that unlucky with the weather surely? They weren’t If you didn’t follow their track – the lucky sailors slipped at the beginning on a minor heat wave and near perfect cruising conditions persisted throughout their 3rd module. During their 3 week cruise they visited Brighton, Roscoff, Dartmouth, Honfleur, the Channel Islands and their highlight The Scillies clocking up 1200 nM. The Spring Course can be tough – UK waters are at the coolest and the weather can be uncompromising. But properly prepared, supported and equipped the period provides some of the best training available anywhere in the world. Whilst only 4 students completed the 3rd module, David, Rochus and Frank joined the course at various stages during the earlier modules and will be returning to the school in September to undertake module 3 and their Yacht Master examinations. 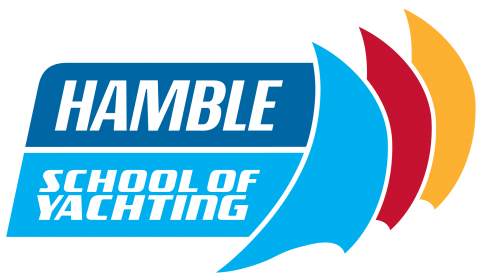 Hamble School of Yachting manages group sizes and will work with you to create a tailor made programme which is balanced to meet your experience and availability. We do this without compromising on the essence of the course which is to produce – confident, well rounded yacht skippers capable of following professional career path or just their dreams if getting paid for sailing doesn’t appeal. The team at Hamble are sorry to see the guys pack their bags but are certain one or 2 of them will return to complete instructors courses in due course. We will of course stay in touch and continue to provide advice and support as they move onto their next steps. The instructors are already back on the water and reviewing their training notes with PST 75 who will be with us throughout the summer and take their exams in October. You can follow their progress through our Website, Facebook page and Yellow Brick tracker. Interested in building your own confidence, meeting new sailing buddies or just a couple of months of adventure – have a look at our PST syllabus and give us a call to discuss what could work for you.